All the above items are already available in shops. 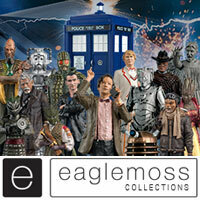 Of most interest was a new 3 figure companion set! 5.5” scale. Although we’re not able to show you photographs at the moment, the sculpts looked excellent! The figure set should be available mid year providing there is sufficient retailer interest. The Thirteenth Doctors TARDIS is on hold at the moment. There may be more items to look out for much later in the year including some very exciting B&M sets. Ryan’s coat will be closed so you only get to see the top of the blue shirt, Yaz’s hair will be in front like the top right screenshot. 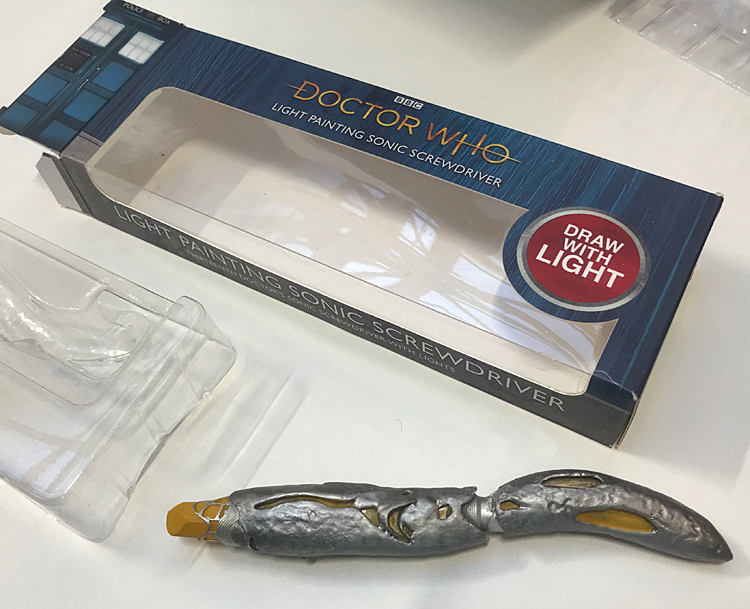 A sonic screwdriver with draw light (app required), This resin sonic is quite weighty with a good molten finish like the prop, all one piece. Similar in size to the seven20 version. Also on offer is a virtual Tardis, Photograph it then fly it around on your phone, looks great fun! Various already released Warlord Games items were on display on the Hornby stand and a few Pop’s on the Funko stand but nothing new. Booboo, is the companion set definite? 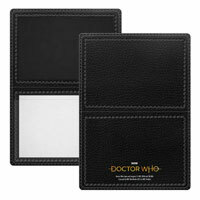 Any news on when we will get some pics of the companion set? possibly when they go up for pre-order if they got the go ahead unless someone from Character shows them are say its OK. Probably when the review samples are sent out. Who will Yaz be standing in for? Is it the one from the BF time war audio series? I imagine so, though Yaz and Bliss look nothing alike. Guess it could be Anji from the books, they have exactly the same heritage (except Anji seems to be from a Hindu family that left the Punjab to go to India) and we don’t know what she actually looks like so she could be Yaz’s double for all we know. i’m not, closed stand and it was made very clear to be honest, that said someone might do it but you wont find us linking to it. 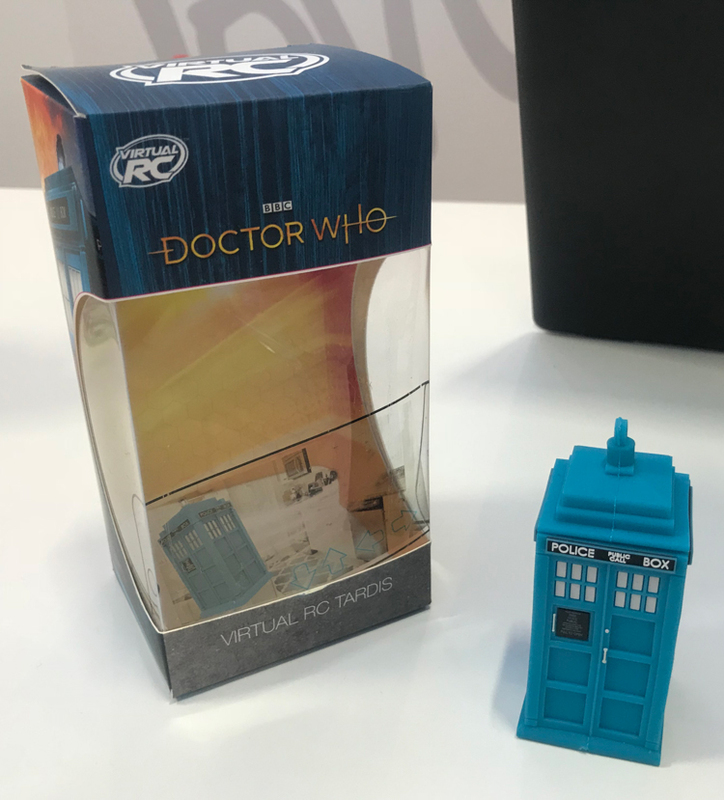 Booboo do you reckon we’ll see electronic tardis’s with the B and M collector sets or are we only going to get non-electronic tardis’s if they are to release any more? Booboo did you hear anything about the B&M sets or is that just a prediction? If there isn’t sufficient retailer interest why don’t they just sell them on their own website as most people tend to shop online than buy in a store that they have to travel a while to get to? 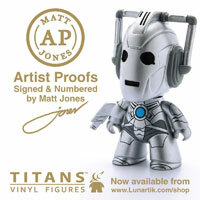 For the same reason why don’t they do classic figures or new series cybermen that would probably sell well on their own website? Orders from retailers are guaranteed, making 8000 figures in the “hope” it sells isn’t wise probably. I’m really excited for this and the fact that it’s only £25 is amazing! I’d be happy if this was all we got, just so team TARDIS ‘18 is completed. 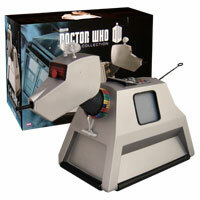 Though, I still do want that new TARDIS and the junkyard Dalek! 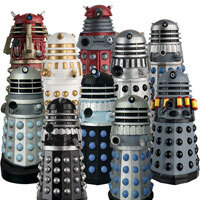 I’d love a Junkyard Dalek. Yeah, the set is apparently going to be 25 quid, which is quite good considering the 13th Doctor figure is 13 quid. Booboo I have a theory. If the next B&M release is the 4th Doctors Tardis, do you think then the summer releases could be a 5th Doctors Tardis as they seem to be doing them in order? That’s a good observation Ian – fingers crossed, that’s the one set that I would like Character to bring out before they retire the range indefinitely. Would make sense for a 5th Doctor Tardis considering the work was already previously done for it. I wouldn’t pay 25p for them. @Who?……. WHY?? That’s a huge bargain for new figures. That’s pretty much the price that 1 figure from any other company costs and you’re getting 3….. How is that bad or off-puting?? 25p is a GREAT price. That’s about how much 1 repainted Marvel Legends Figure. I guess you don’t want them bad enough. Also, remember…. Character is looking at the demand for these things…. if people don’t buy them they won’t get made and then we’ll have NOTI G! Surely if there is any kind of market for three of the dullest companions to ever grace the series then you would think there would also be interest in classic companions and possibly monsters. This range only appeals to collectors now so there doesn’t seem much to gain by focussing on the present series, the B&M figures proving there is still some sort of market out there for older characters. mass market retailers in general are not interested in classics, that was established long ago, they may however be interested in a set of figures that has just been on TV, its the way it works. Also remember there is no easy USA market any longer, toys r us have gone, one of the biggest customers. If there were sound viable ways of bringing new classics to market i’m sure they would be doing it. Wonder if theyre planning a ‘chase’ set to go with Bradley…your very own beasty Mark the evil Dr Sin(ha) frosty nicks and the (Dark) Destroyer himself…. Might liven up an otherwise dull release …..
Why the need to have a go? If the classic figures were commercially viable they would still be being produced. As boo boo says one of the problems is a lack of retailers rather than customers. certainly recycled bits not sure exactly what though without ref photo’s. I don’t think there is any way at all these would see the light of day if entirely new tooling was required for each figure. I was surprised to see them at all to be honest, people will have their own opinions but on the shelf the sculpts look really good to me, some of the best I’ve seen. The set is really stunning! I don’t see why it matters if they re-use parts for different figures. If it works, and it keeps costs down, great! They should make action figures of class. That would never sell. They struggle to sell the Doctor Who ones. If they’re doing 3 companion sets I wonder if they’ll ever do an Adric/Nyssa/Teagan or Susan/Barbara/Ian? We probably won’t see that for a long time. If you hadn’t noticed, they don’t do Classics anymore due to them underselling. But perhaps the market for Who figures will increase and we’ll get more Classics at some point. Atleast, I’d like to think we’ll get more. Ever since series 8, the toy range has become so minuscule and barren, what happened to the massive wide ranging monster lineups along with daleks and cybermen variants left right and centre? Back then the humanoid characters were a small part of the range, why are we so starved of the foes? 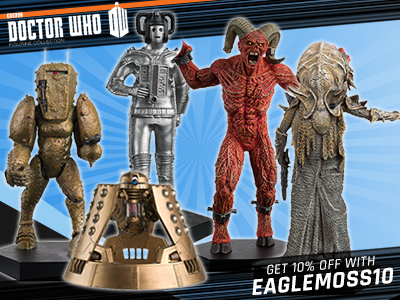 Dalek and cybermen re-releases and new varients please! at least! Future B&M sets and any other retailer exclusives in the pipe line would not be on show here. If we’re going to have monsters or companions (which isn’t necessarily the case), as much as I love some of the monsters that haven’t been made, i’d prefer they did 13 and her companions first. If you have them, you can make your own stories/animations set during or around Series 11. 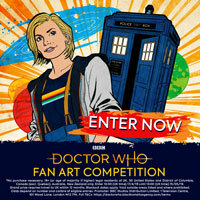 If you just had Jodie and a Dalek, you couldn’t do that. Actually you can. If you read 11th Doctor Comics, you might know Alice. This means that the Doctor doesn’t always travel with his companions. A better example is Midnight actually, because the Doctor goes off to do something, while he lets Donna stay at that place. 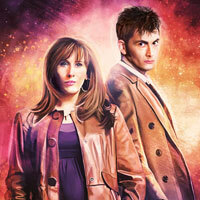 However, I do think it would be more interesting with companions, because the Doctor would have someone to talk to. However you could use other people. Imagine 13th and Martha* go on an adventure. *I don’t know if there is a Martha Figure. I realise you can’t say what the B&M news is but are we talking classic or Nu-Who? No new Pops at all? Would rather have a figure of Nardole than Yaz, Ryan and Graham. AKA the most boring companions ever. In your opinion. I however will buy them. And no companion will ever be as bad as Rose Tyler. The clever thing about the outfit choices for This Companion set is that they can all be reused. = ”The Ghost Monument” – Orange Jumper, Black Jeans. = ”Arachnids In The UK” – Pink Jumper, Black Jeans. = ” Battle Of Raskoor Av Kalos” – Green Top – Black Jeans. 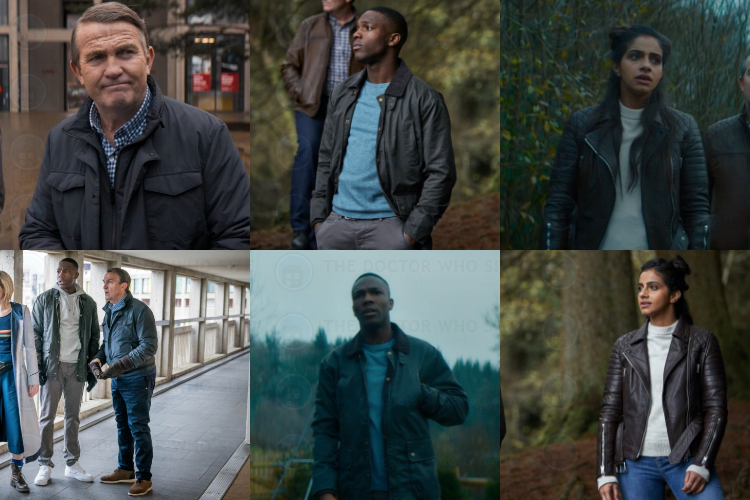 = ”The Ghost Monument” – Dark Blue Jacket, Light Blue Top, Light Brown Trousers. = ” Rosa” – Dark Purple/Blue Jacket, Dark Navy Blue Top, Dark Cream Trousers. = ” Demons of the Punjab” – Dark Blue Jacket, White Top, Grey Trousers. = ” Battle Of Raskoor Av Kalos” – Green Jacket, Denim Blue Shirt, Burgundy Trousers. = ”Kerblam” – Blue Jacket, Red Cardigan, Light Blue Shirt, Black Trousers. = ” Battle Of Raskoor Av Kalos” – Dark Green Jacket, Burgandy Top, Cream Trousers. Hopefully they will see that the sculpts will be worth the money that they can make in repaints. B&M do 3-packs, so maybe we’ll be getting them in their sets after they’ve released mainstream. The 13th Doctor’s outfit also looks very easy to repaint to match the episodes, it’s maninly just a different colour of T-Shirt. Any prices for the WOW stuff and will they be available in the UK? Is there anywhere to view the images? Was there any packaging for the set yet? 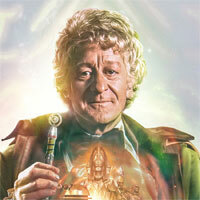 Also, any particular reason for the flight control TARDIS being pushed back? Was the packaging an actual box, or a big bubble? 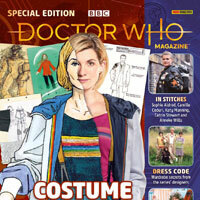 What costumes were the companions in?